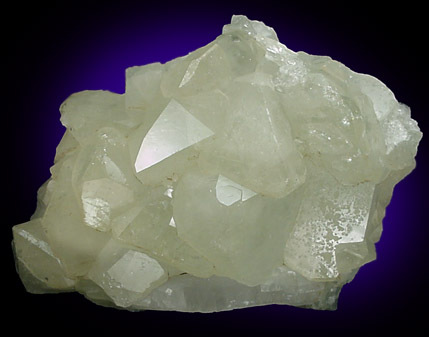 Description: Large crystals of pale green datolite with minor white calcite on basalt matrix. 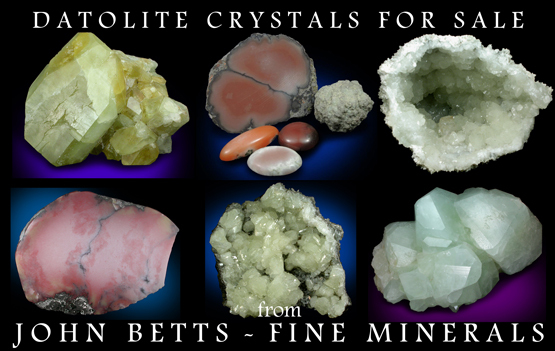 The datolite crystals are very lustrous and clean. From a seldom-collected locality that does not permit collecting.